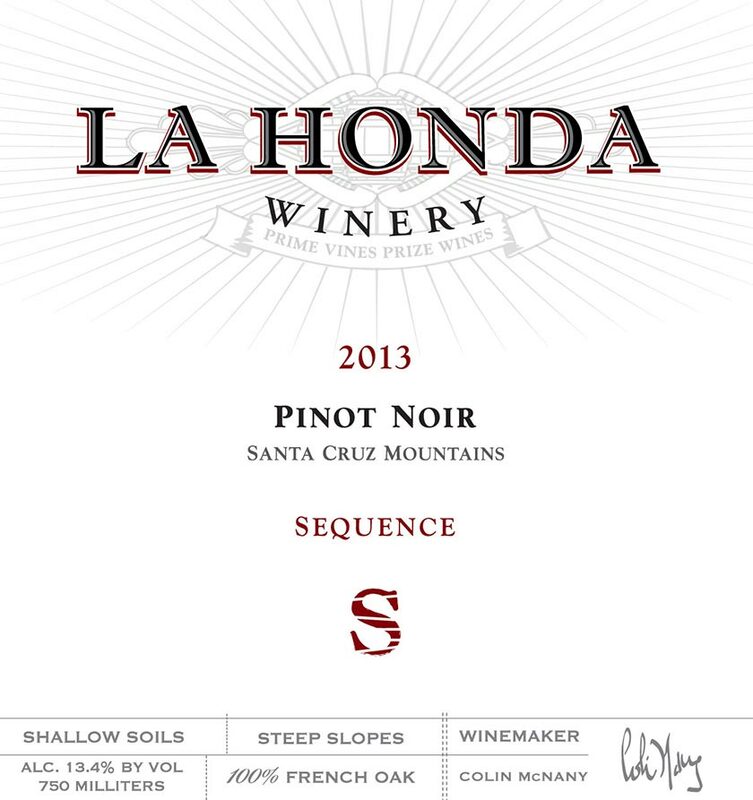 NAME: ‘sequence’ of vineyards’ along Skyline, and part of Silicon Valley’s vines/science heritage. We harvest our Pinot Noir sequentially with co­-fermentation in mind, filling open top tanks and T­bins with vineyards matching fruit profiles. All fruit is 100% de-stemmed whole berry, and hand sorted on the shaker table. It is then tipped into 2 ton open top tanks and 1 ton bins. Then cold soaking to enhance flavor and color, roughly 3­5 days, followed by inoculation of commercial yeast strains. The ferments are punched down by hand 3 times a day with peak fermentation temps hitting roughly 90 degrees F. The wine is left on skins for a total of 20­25 days via extended maceration. We press on taste, separating free run and basket pressed wine into designated French and Hungarian barrels, which ⅓ are new. The wine undergoes 100% native malolactic, receiving light batonnage, and aged for 14 months. Unfined and unfiltered, always. Beautiful bright red fruits; elegant aromatics of fresh pomegranate blueberry seeds and enticing earthtones of strawberry rhubarb pie. The wine brings medium acid to the palette with juicy rose petals, cherry cola, and dark cacao nib tannin. Recommend aging potential is 3­-7 years.